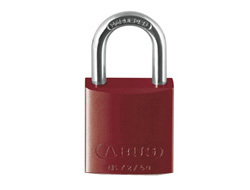 Padlock manufacturers have been looking for an alternative to brass for a long time. 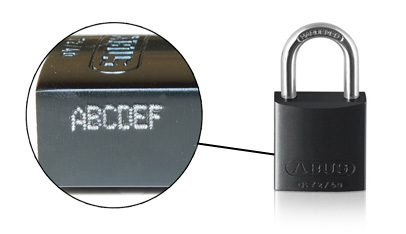 This brand new padlock is constructed from extruded, cut and drilled aluminium and does not degrade. 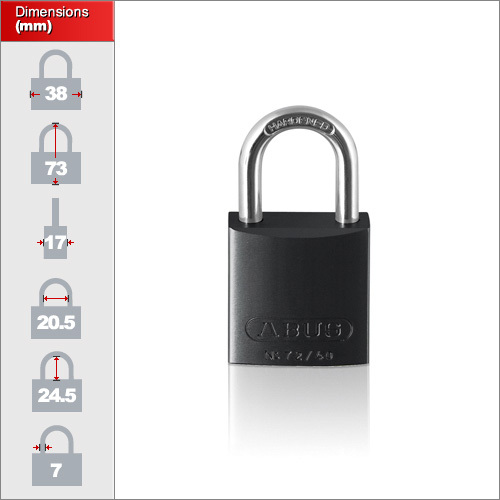 To prevent any reaction with steel, the hardened steel shackle is zinc coated and armoured with chrome plating, while the internal brass cylinder is also zinc coated. Please note that these are design to be keyed alike to each colour and so they are not available keyed alike across a number of colours. If you want a keyed alike set then please choose a single colour. The aluminium range only comes in a 40mm size but in various different colours. Please use the drop down list above and select your preferred colour. 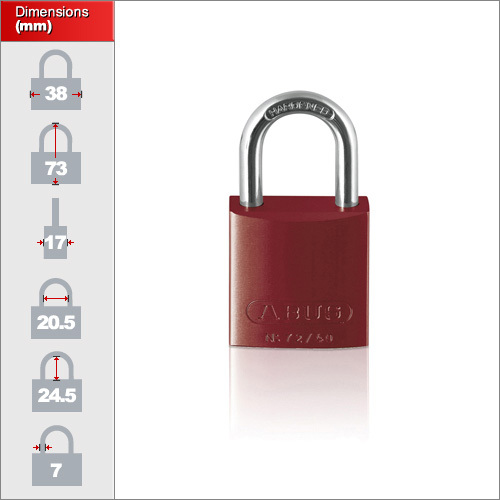 This Padlock is available in a long shackle range and in a few additional colours not shown here. Please contact us for details. Re-keyable with keyed alike and grand master suite options are available, the different colours will be of use to different sectors of the same business. Also great for design-conscious users still requiring good security.